Huawei announces Black Friday deals for every kind of smartphone user, please find below the latest deals from various service providers. 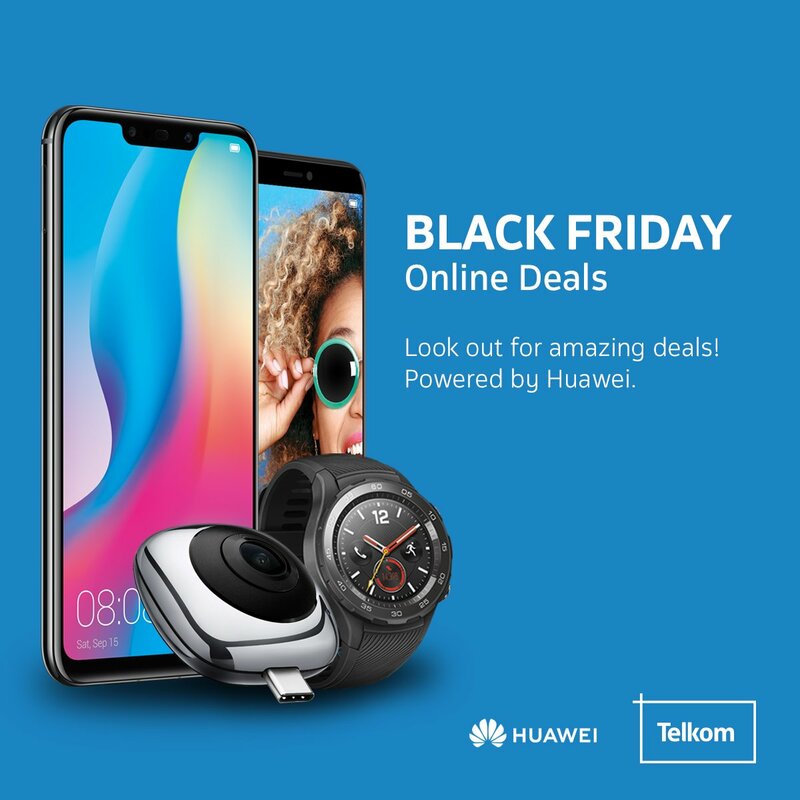 You can take advantage of the Huawei Black Friday deals below from Friday 23 November. Limited quantities are available subject to terms and conditions. Get a Huawei P Smart on contract for just R149/month (reduced from R199/month) and get an extra 10G of data for 6 months. Get a Huawei Mate 20 Lite for just R399/month, and get an extra 5G of data for 24 months. Get a Huawei P-Smart on a 12-month Made for Me contract with a free 14GB Entertainment for R299 per month. Get a Huawei P10 on a 12-month Made for Me contract with a free 14GB Entertainment pass for Me R449 per month. Get a Huawei P10 on a 12-month Made for Me contract with a free 14GB Entertainment pass and a Huawei Media Pad T2 for R449 per month. Get a Huawei P20 on a 12-month Made for Me contract with a free 14GB Entertainment pass and a Huawei Media Pad T2 for R669 per month. If Friday is over and hectic for you, there is still time on Saturday and Sunday to get your favorite smartphone along with data deals so that those Instagram stories keep flowing in!